looked, and I had ‘talked’ about doing ‘something’ for a while. 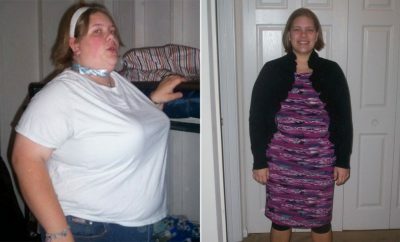 I’ve lost weight before: 30 pounds, 60 pounds, 120 pounds and 50 pounds. Each time, I tried a different plan. Each time I went back to my old ways. I started cold turkey at the end of January. In less than 8 months, I’ve lost 123 pounds, with about 10ish to go. I’m watching my body fat at this point rather than just my weight. I also have been known to get on the scale every day so I can see how different foods and activities affect my weight. 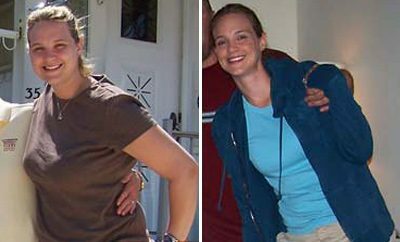 RELATED: Real Weight Loss Success Stories: I Shed 85 Pounds With Hard Work! My food plan now includes organic vegetables, some fruit, wild-caught salmon (or certain other fish) with no added anything, organic chicken, organic eggs and organic egg whites. I have one social/family meal each week, but I still try to make good choices (unless there’s tortilla chips and salsa involved). No pork, sugar, flour, bottom-feeding seafood, processed foods, sugar, chemicals, or sugar. If I’d like to have a drink, I usually stick to Jameson neat. Some have asked if I get bored eating the same thing all the time, but I love that I don’t have to think about my food; I don’t have to make any decisions, so it’s easy not to make a bad decision. Exercise? Yep, I started out walking, then jogging a little until I had lost enough weight to jog a little more, safely. I added in a personal trainer for strength training 30 minutes twice a week. I just started crossfit and I’m loving the variety it adds. I’ve run a 5k and a 10k, and I’m doing a 1/2 marathon in 10 weeks. 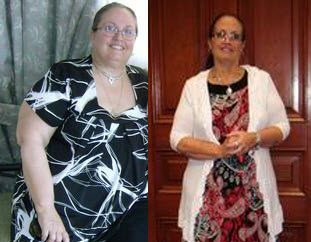 RELATED: "I Beat the Blues — and Lost 40 Pounds!" My daughter, who got me started in crossfit, is proud of me, and loves that she can put her arms around me when she hugs me. People who haven’t seen me for a while don’t recognize me. It is possible to do this. You get to make choices in your life about what you put in your body and how you take care of it. That’s it. I did it. I’m doing it. I’m 42 and I’m too old to let myself go again. I’m too young to not enjoy my life! ← Previous Story Taylor Willis went from 150 to 120 lbs. 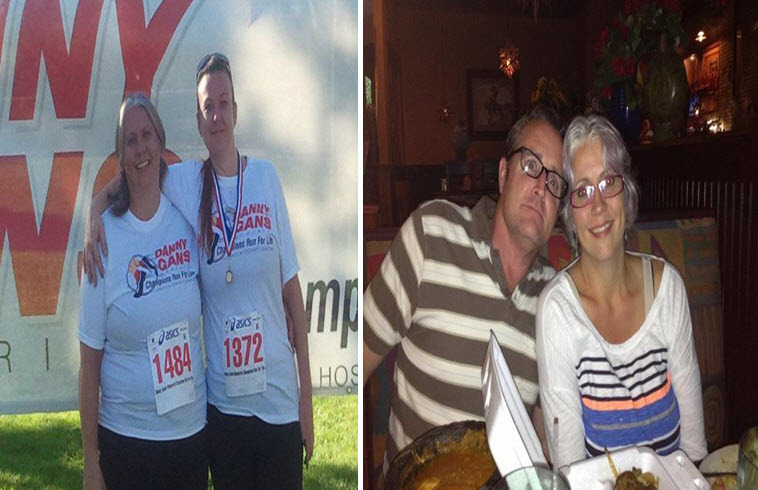 Next Story → 162.5 Pounds Lost: Doing it for ME…162.5 Pounds Lost!